If you have a website related to baristas, coffee, tea, chocolate, or cafés, you can earn 30% on the sale of every book that sells as a result of someone following your affiliate link. Even if you don't have a website, you can still get paid by sharing your opinion of the book over social media. You're obsessed by coffee and, chances are, so are your friends and followers. The simple process takes a few minutes of your time and probably less time than you spend cleaning your portafilter each evening. Sign up using a valid email or with Facebook or Twitter. Click 'No thanks' when Gumroad asks you to upgrade, unless, of course, you want to. There's no need to upgrade if you only wish to be an affiliate. Check your email to see if you've got an email from Gumroad. If you have, they may require you to confirm your email. Fill out this form to let me know that you'd like to be an affiliate and I'll sort it out within 24 hours. You're now an affiliate. Once Gumroad emails you with your link, you need to know where to put it. It's easy: just two steps. I'll show you how below. All the link does is take the person to the barista manual sales page through a tracking system that logs that the link used was yours. You can use the link on your website, blog, online store, emails, Facebook posts, Tweets or all of these. The best link is one that follows a genuine recommendation to use the barista manual. Read the manual and pick out two things that you think could be better and three things that you like about it. Write a review. It doesn't have to be long, but it's worth putting in more effort here. Don't worry about upsetting me, I'd rather know what people truthfully feel needs improving and to get to work on improving it. Your friends and fans would prefer an honest review from you too. Make sure to use the link that Gumroad sent (similar to the link in bold above) and not a link directly to the manual's sales page. You could also add the link to a picture. In fact, people are more likely to click a picture of the book than a simple text link. You can find some pictures of the book and other helpful pictures and information on the Useful Marketing Materials page. If you're posting to Facebook or your Twitter feed, then you've already got the word out. But if you've buried the sales details in your store, you'll still need to alert your customers to its existence. Get on Facebook, Twitter or get your sandwich board out and let people know about it. Please don't spam and keep it truthful. We reserve the right to remove you as an affiliate if you spam or lie. This site contains affiliate links. If you make a purchase after following the link, we receive a commission at no extra cost to you. Thank you for helping to support this site. Please purchase the book using this link and help support our site. If in doubt check out your local consumer agency's guidelines. 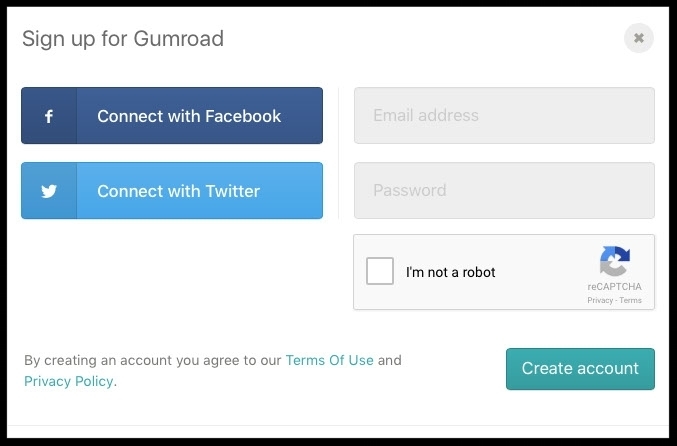 Gumroad charges 3.5% + $0.30 per transaction. You will be paid, less your share of the Gumroad fee, and less any refunds, by Gumroad every Friday. If you're in the UK, Canada, Australia or the USA, the payment will be by bank deposit. If you live elsewhere, the payment will be into your PayPal account. From time to time we might have a promotion and reduce the price of the package or books. As an affiliate, you're helping me get this out to baristas in your area. I really appreciate your help here and if there's anything I can do to help you out, please just let me know.